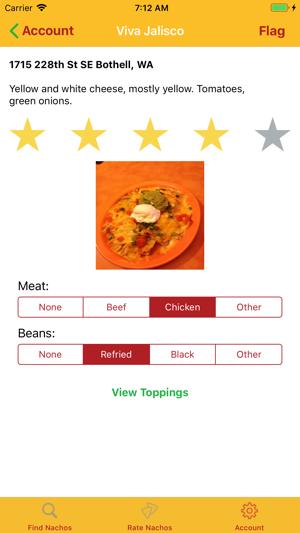 iNacho provides an app experience to find the best nachos out there. 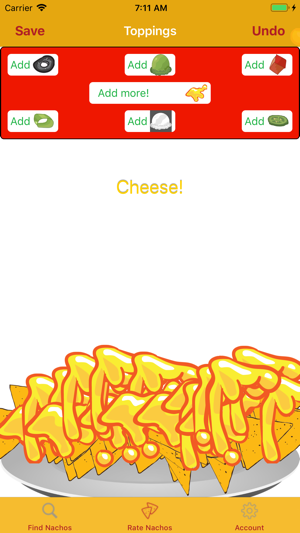 Snap a pick, review your heart out and play with the toppings animator too! 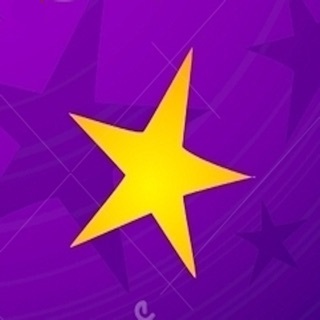 Keep on reviewing and sharing that nacho love. 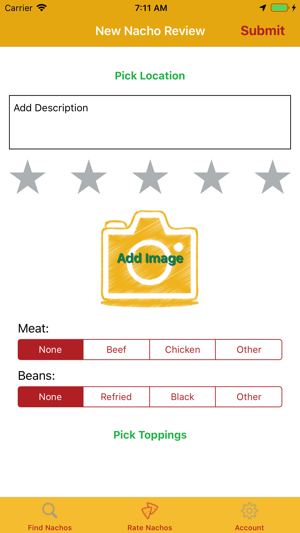 Makes finding amazing nachos a breeze! When Nachos were invented back in the 1940's, it ignited the time honored tradition of the "late night munchies" cultural movement. Better than pizza, better than burgers, Nachos - or "Nachos Especiales" as they are formally known - are the perfect amalgam of the carbs and fats you crave after midnight. 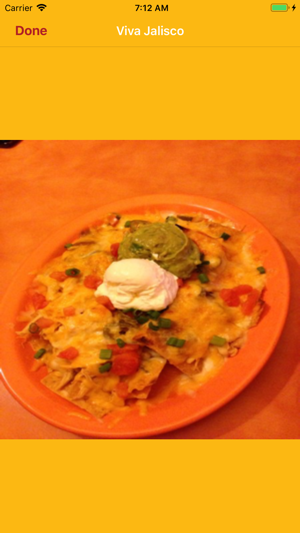 So naturally, I want to be sure when I have the munchies, I am eating the best nachos my town has to offer. 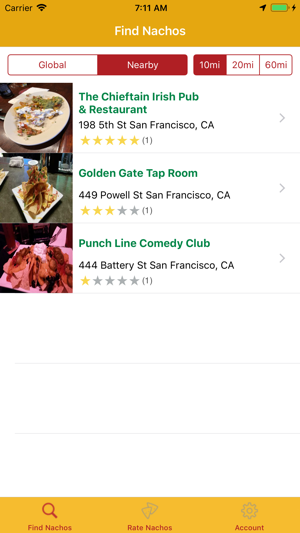 The iNachos app is exactly what the nacho lover in all of us needs. 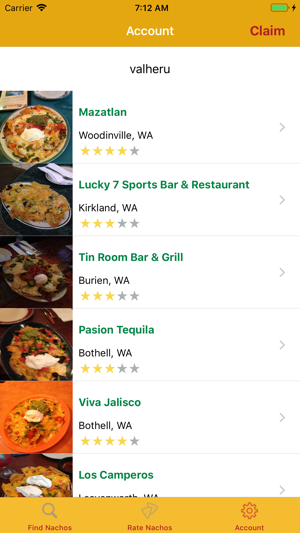 Not only can I find the cheesiest nacho offerings anywhere in the world, I finally have a platform to express every nacho adventure I embark upon. Thank you iNachos for fulfilling my cheesy dreams.